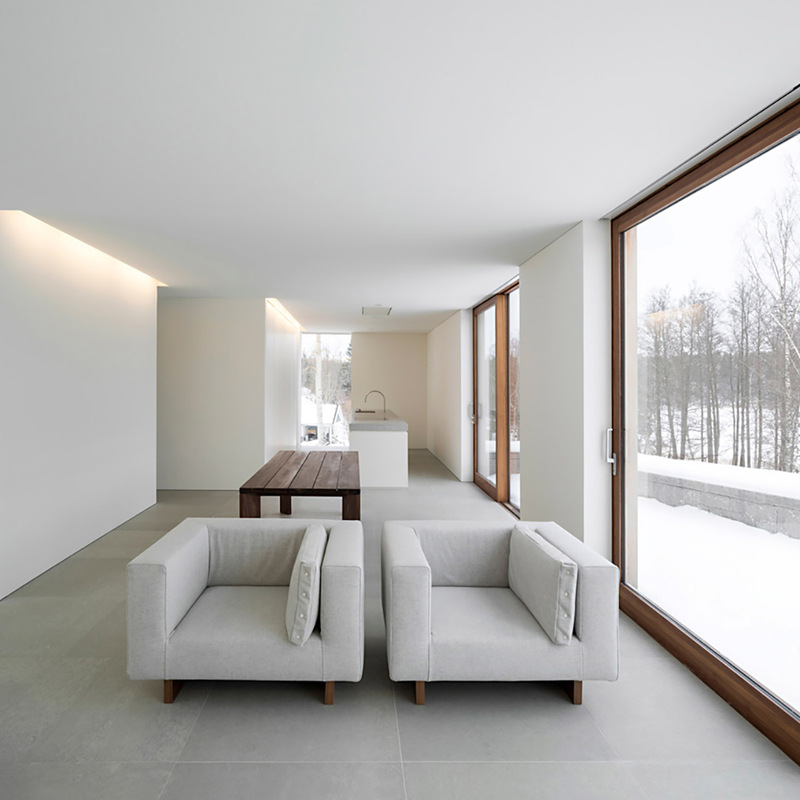 This house on the shore of Lake Drevviken takes the form of a simple box, with an enclosed courtyard at the back and a terrace to the front. 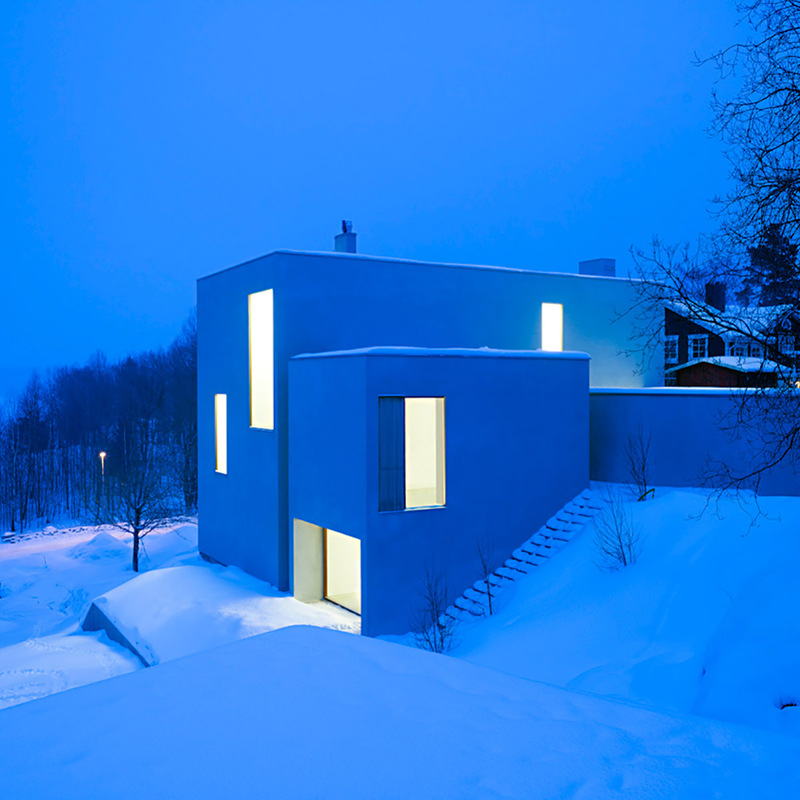 Uncompromisingly contemporary, the architecture is nonetheless a quiet presence in the landscape. 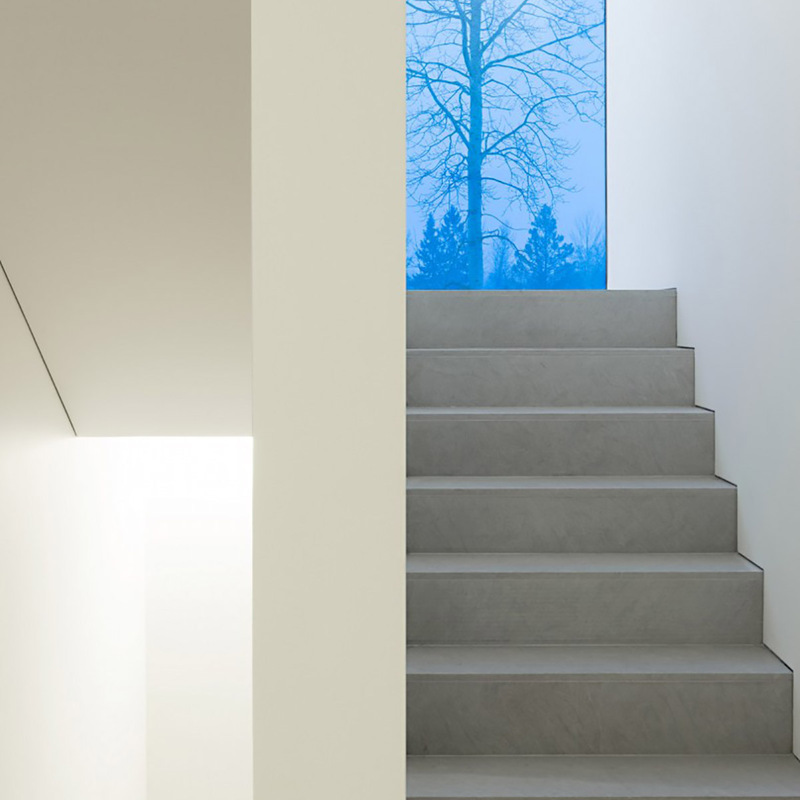 This minimalist architecture from famous architect John Pawson is complemented by perimeter lighting that at night pulls down the vertical surfaces and reflects light into a space which is clean and totally uncomplicated by downlights. 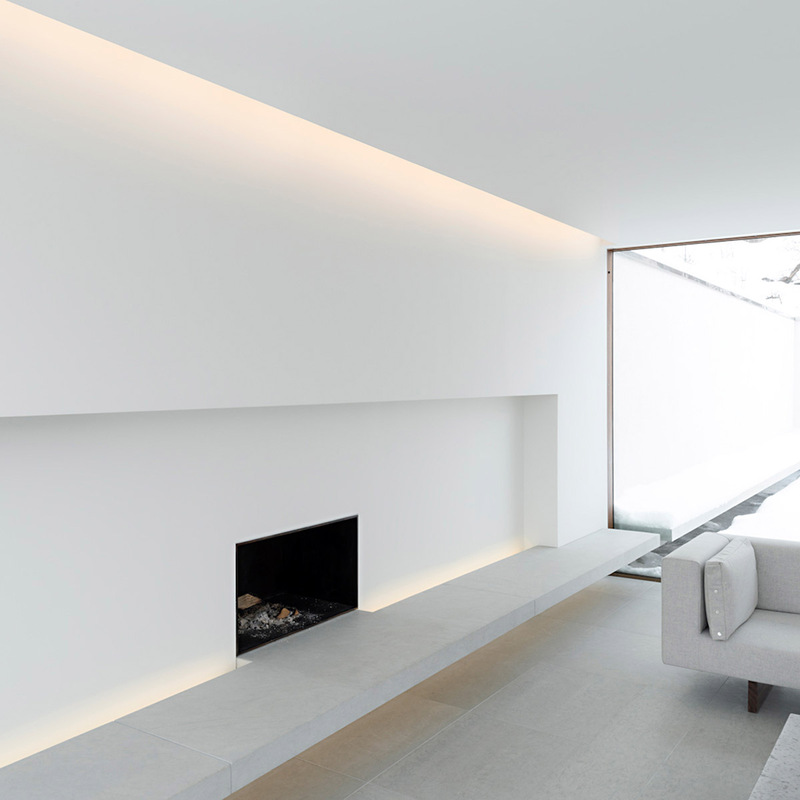 Space and form working together with a clear lighting strategy that accentuates the minimal integrity of the architecture and the surroundings.